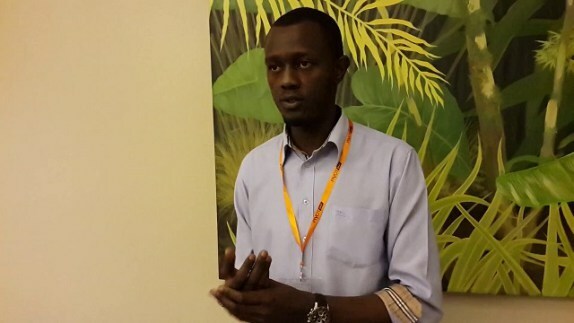 During the Pivot East 2013, Kenyan startup Kytabu was one of the finalists of the Mobil Society Category. During its pitch, the startup stated they were seeking Kshs. 7 Million to allow them to enable them scale this content delivery. Kytabu is a software that delivers learning content from digital text books to Kenyan students. On the sidelines of the Conference for publishers and content creators seeking to set standards for online content development, we met with Tonee Ndung’u founder and CIO of Kytabu. During their pitch at Pivot East, Tonee stated that Kytabu had 177 books condensed into a 1GB file served by a microSD. Kytabu was at the time the only software that kenya Publishers Association had presented to the government as a software they wish to work with in the delivery of text book material. At the moment, Kytabu has 600 books with content now at 4GB. It is important to note that KICD has so far approved only 1,360 titles from local publishers. In addition, Kytabu raised $150,000 last year bringing the total funding to $200,000. The model of delivery for the content is through micro-leasing in a subscription model that delivers only what the student needs to learn when they need it and pay for just that content they require access. Tonee says they charge Kshs. 1 per page per week. During Pivot East, Kytabu said content would be available via an Android app in a low cost tablet or in a microSD fitted in an internet dongle that has a sim card for internet access. The Price for the tablet is $80 while the internet dongle is $16 so this brings down the cost of content delivery to the low income earner for their student. Content is however now delivered primarily via the App. Tonee however did not demonstrate to me the app to me, so I cannot confirm it exists. They have also managed to get clients such as the Vodafone Foundation & UNHCR for implementation through the tablets they previously offered. The app he says has close to 10,000 users at the moment. I think Kytabu could do so much more with the funding the company has received so far and scale operations beyond what they have done thus far. I also did not manage to see the app they currently use to deliver this content though they state on their website that design and development is currently complete with deployment at 40%, which honestly is a long time since 2013.